The Contradas have met and so has the City Council of Siena in special meetings to decide on whether or not to hold a special edition of the Palio this year. The minimum of 10 Contradas gave their approval, and so has the City Council so a third Palio for this year is set to be run on October 20th to celebrate 100 years of the end of World War I. The last special edition was held on September 9, 2000 in honor of the Jubilee year. Who will run the special edition Palio? This decision has set in motion the timetable of events and activities leading up to a Palio, in which 10 random Contrade will participate. These should be decided by lottery on September 30th at 5:30pm among those that were in agreement with the extra edition (Aquila (eagle), Bruco (caterpillar), Civetta (little owl), Giraffa (giraffe), Istrice (porcupine), Leocorno (unicorn), Nicchio (seashell), Pantera (panther), Selva (forest) and Tartuca (tortoise)) and those that weren’t (the remaining 7, the Chiocciola, Drago, Lupa, Oca, Onda, Torre and Valdimontone) who will be able to decide within 5 days if their names are extracted whether to participate or not. 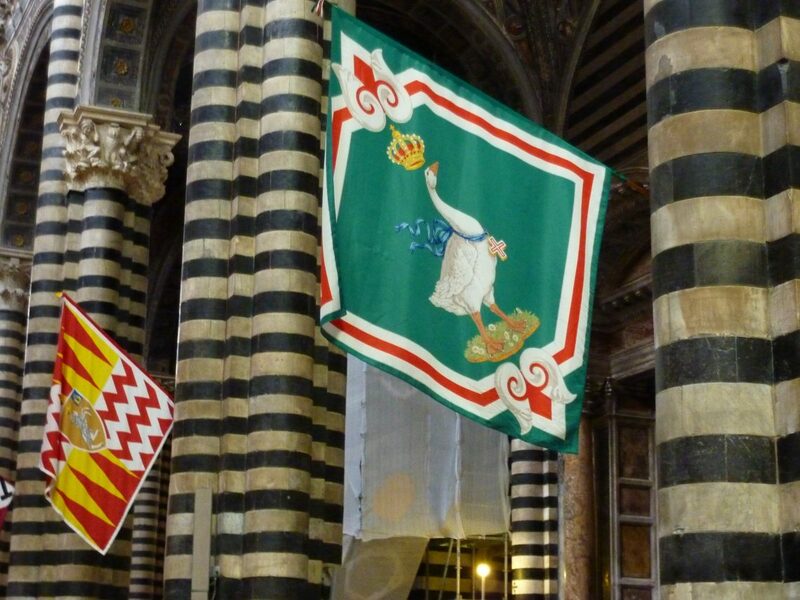 The flags of the Contradas racing in the Palio will be on display on the first floor facade of Palazzo Pubblico after that date. 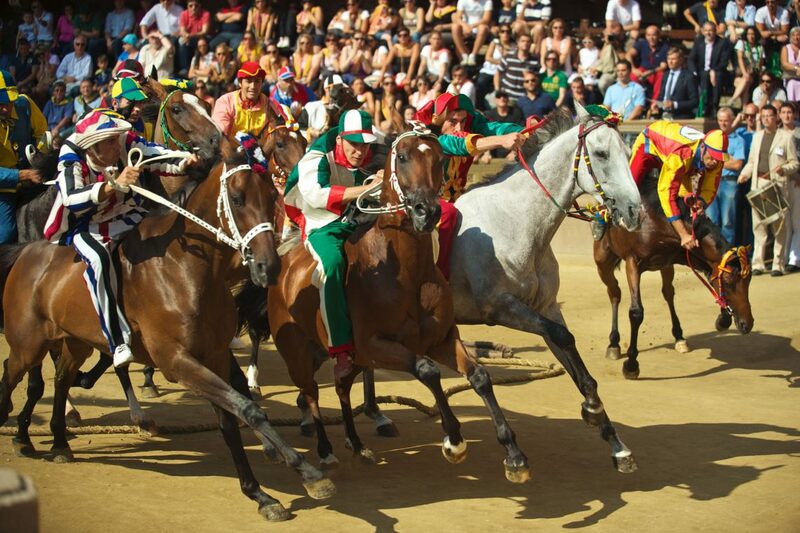 Do you buy tickets to watch the palio? And if so, where? No, theoretically you don’t buy tickets — just arrive early to go into the middle of the piazza and watch it from there, free! standing room only though. The bleachers set up around the perimeter _might_ be on sale but I don’t think they are easy or cheap to buy or might be reserved for locals, so I would just plan to get to Siena early that day and make it a plan to head to the piazza by 2-3pm to get in and grab some space. You might not see much, but the experience of being there is what you go for.